Class Information – Linden Farm, Inc.
At Linden Farm, the riding program is intended to introduce young people and adults to the wonderful world of horsemanship. It is our hope that the program will enable those who might not otherwise ever have the opportunity to ride or to work with horses to develop an interest in and knowledge of these beautiful and benign creatures. Classes are taught year round and consist of riding instruction, lecture, and hands-on work. Classes are offered throughout the week including many adults-only classes. Each group class is approximately 45 minutes long. Private lessons are 30 minutes. Once a student has learned to groom and tack up their own horse, they should arrive 15 to 20 minutes early to do this on their own in order to not take up their lesson time with this task. Homeschooling your children? We offer classes for homeschooled children during the week in the mornings and early afternoons. Call to schedule a class. Consult our schedule of fees for details as well as our policy on missed classes. Leather-soled shoes or boots with a heel. *Note: Tennis or running shoes are not appropriate around horses. If shoes other than riding boots are worn, they should lace-up, not slip-on. All students (parents in the case of a minor) will be asked to sign a liability waiver. Parents are welcome to observe classes and lectures and to attend special events, but will be asked to limit their participation to support of their students during non-class time. Learning to ride is not difficult, but depending upon individual athletic skill and confidence, learning rates differ. When students (and their parents) develop confidence and an interest in competition, we offer the opportunity to participate in small local shows. Students pay for their individual entry fees and food. There is a small trailer fee for transportation to and from the show, as well as a small coaching fee. As students develop their skills and confidence, we offer trail rides and the opportunity to attend special events such as local foxhunts, shows, competitive endurance rides, and demonstrations. Some of these events will be free, for some a ticket or entry fee will be required. These are optional activities and participation is not required. 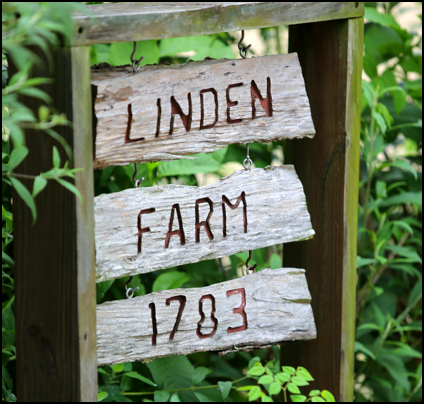 To get started, complete the on-line application form and a representative from Linden Farm will contact you.